and not be trapped in a forced YES/NO ultimatum. This week is a week of referendums. After 307 years, political activists in Scotland forced a nationwide referendum to give the entire population of Scotland a chance to vote on the question: “Should Scotland be an independent country?” All voters needed to do were to mark either “Yes” or “No.” Voter turnout was a healthy 84.6 percent, representing a total of 4.2 million registered citizens. Advocates from both camps fought hard. The “Yes” camp led by the Scottish Nationalist Party First Minister, Alex Salmond argued passionately for Scotland to leave the United Kingdom and to be an independent country. The “No” camp, led by Alistair Darling countered with an equally vigorous defense of the status quo. As of yesterday, Scotland chose to remain within the United Kingdom with 55% of the population voting for it. This is clearly bigger than the razor thin decision predicted by many commentators. I am not a fan of anything that nudges toward disunity. Neither am I someone who likes to see split ups and painful divorces. While I am in favour of democracy in general, I think we need to be able to keep both our heads and our hearts together. 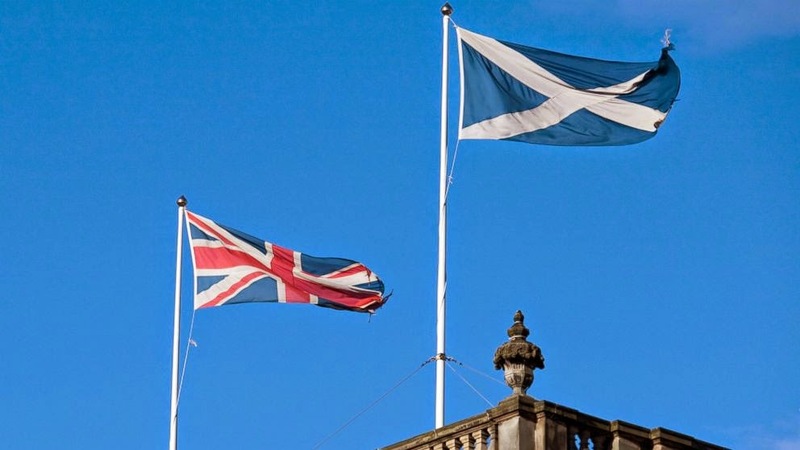 For Scotland to just vote YES and leave the Union, it needs a very strong support base, and as far as I am concerned, for a country to go her own way, the percentage of support must be as unanimous as possible. This is because nation building is a massive task. If it is a marginal victory for the NO camp, it is still alright, because keeping the status quo is the easiest thing to do. However, if it is for the YES camp, then it is a major problem because the country would already be split down the center right from the start. What kind of nation building will there be if resolve comes only from half the population? Anyway, I am glad that the votes have settled once and for all, the question of independence, and Scotland can focus on the major and practical challenges confronting them. Then there was the teachers’ referendum in British Columbia. After a drawn out battle at the negotiations table, finally with the help of a mediator, both the provincial government and the teachers federation had confirmed a deal. The referendum was to confirm and to ratify that teachers will vote for and honour the deal. The YES was an overwhelming 86%. Quite good. Although there was a rather vocal group that urged NO, the general mood among many teachers was a sense of relief that they can at least go back to what they loved doing: Teaching. That is a good thing. Life is never fair to begin with. At least, we learn to do our best and let circumstances determine the rest. Life Is Often More Than Simply a "Yes" or "No"
In both cases, there were no other choices. Either one votes “Yes” or “No,” simple as that. Some will argue that there is a third choice: Don’t vote at all or to simply spoil one’s vote by marking both. There is no proper way to capture any other sentiments. It’s an All-or-Nothing deal. How can anyone choose between two impossible choices? Should I marry A who is more intellectually compatible with me, when it is B who is more physically attractive? How do I choose between College C and College D or Job E vs Job F? 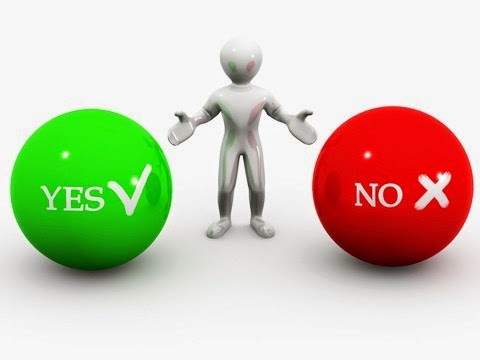 When it comes to choices, a simple “Yes” or “No” may be most difficult to do, especially when it is a 50-50 tossup. Sometimes, this is a case of forcing “false choices” on us, just like the sly lawyer who will craft questions in such a way that force witnesses to answer only a “Yes” or a “No.” For one, it limits the witness from explaining the contexts of their answers. There is no “Yes, but” or “No, however.” Like imitating a computer, people are compelled to answer either a yes or a no. That is why truth telling can never be confined to a binary answer. “Did you or did you not take money from your dad?” is a question that will do grave injustice to the child if the dad had already given permission for the loan or monetary gift. Say “yes” and one can then convict oneself of theft. Say “no” and one gets accused of perjury. Either way, truth needs more than one question to display the various perspectives that make up the big picture. When Jesus was asked point blank by Pontius Pilate: “Are you the king of the Jews?” Jesus knew right away that it is just rhetorical. It is a trap. It was another way to show people present then that Pilate was doing his job as professionally as possible. He showed more concern about his own questioning skills rather than truly finding out the truth. That is why Jesus’ answer is very telling: “You have said it.” We can interpret it as a “yes” but let me say that it is more to it that meets the eye. It is an affirmation of what Jesus had already read of Pilate, that Pilate is putting on a show more than desiring to know the truth. Yet, Jesus acknowledges the truth of His Royalty and at the same time aware of what the answer would eventually mean for him: Conviction. In a way, it is like those testimonies of Christians on the verge of death being asked to deny their faith. Knowing that their faith is something to die for, they would hang on and take comfort in Matthew 10:28: “Do not be afraid of those who kill the body but cannot kill the soul. Rather, be afraid of the One who can destroy both soul and body in hell.” These were martyrs who knew what was more important. They could distinguish permanence from temporal. They knew that if they needed to go down, they would go down with the truth. Many choices in life are hard, especially for those of us who have nuanced every decision point. If the logic is obvious, the choice is clear. If the rationale for either is weak, then we have not really much of a choice. If it is Hobson’s choice like damned if one does, and damned even if one doesn’t, it too will not bring about much comfort. Having said that, let me suggest three things after a choice had been made. Bummer! That’s baloney. Such views unfairly force Christians to not even bother to answer the question. Glenn Stanton tells of a story of a girl who simply wanted to hang out with her friend who happened to be a homosexual. When asked the question of whether homosexuality is condemned in the Bible, when she replied in the affirmative, the reaction was immediate. Her friend concluded that friendship was no longer possible. False choices will lead to false conclusions. There is a segment in society that holds on to “there is no such thing as right or wrong.” Thanks largely to an increasingly relative culture that believes in no absolutes, even Bible study groups buy into such a belief. I have personally heard Christians who claim that as fact, and eventually, Bible studies end up with no real directions, leaving everybody more confused in an everyone-has-a-right-to-their-opinion situation. This is one reason why the Early Church in 140AD came up with a unifying creed in the light of heresies. Till today, this creed has unified Christianity in many ways. People can only talk and build relationships on the basis of a common truth, a common faith, and a common hope. Imagine how two people can even begin a sensible conversation if both do not even agree on the most basic presupposition. For the moment anyone who claims to be Christian denies any of the above tenets of faith, there is no common faith anymore, only heresies. Even if we live in an increasingly complex world, we need clarity in terms of the limits of our freedom. True freedom is never one without limits. True freedom is truth as provided by God. We are not God, but that does not mean we are forever trapped by a life of uncertainty. For there are at least two things for all of us that are absolutes: Life and Death. Once the choice has been made, that does not mean the victors hold all the truth. There may be deep rifts and hurts developed along the way. They may be nasty words inflicted on the opposing camp. There may also be relationships that have been tarnished because of one question. For the Scottish people, it is time to heal and to renew their desire to make their nation a better and stronger one. Even after voting for the Union, the leaders must continue to reach out to all parties, all people, and be sensitive to all concerns. Just because one group has won 55% does not mean that group is only responsible for the concerns of this 55%. Leaders are those who stand up for all, and in some cases, to fight for the rights of minorities and vulnerable groups. For the negotiating parties in the Provincial Government and the Teachers Federation, it is also time to heal. Put away suspicion for the sake of the larger community. Put aside past grievances and move on toward constructive nation building. Referendums are hard decisions that often leave many people with a bitter after-taste, regardless of who had won. There will continue to be accusations at the other party about inequity. Peace must prevail eventually so that people will be closer to the truth a step at a time, a day at a time, and a person at a time. Just because we win does not mean we are totally right. At the same time, just because we lose the vote does not mean we are completely wrong. Be humble. Be gentle. Be aware of the truth even as people voice different opinions about the truth. After the referendums, the next step is healing. Remember to distinguish the issue from people. Stand up for issues. Stand up more for people. For Christians, know what you believe. Know why you believe. Know the Word as revealed in the Bible. For in an increasingly pluralistic and relativistic culture, the truth is at stake. For things we are not so sure, be open for correction. For things we think we are very sure, be humble and speak the truth in love. There is no place for arrogance. Truth must be accompanied by grace. Grace must accompany truth. It is better to be wronged by others than to wrongfully accuse others.